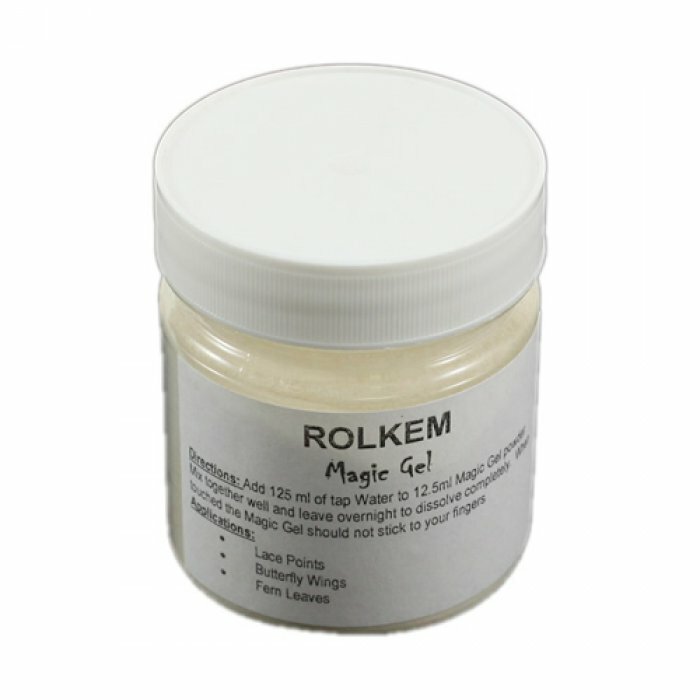 ROLKEM Magic Gel was specially formulated by the ROLKEM Laboratory to create a gum powder good enough to make the following sugar craft articles stronger and clearer. Add 125ml of tap water to 12.5ml Magic Gel powder. Mix together well and leave overnight to dissolve completely. When touched the Magic Gel should not stick to your fingers.